After all, it's not whether you win or lose, it's how you play the game, right? :) I love that Lurpak commercial. I love that this guy is trying to cook a refined dish in the midst of kitchen chaos. I felt somewhat like him when trying my first souffle. 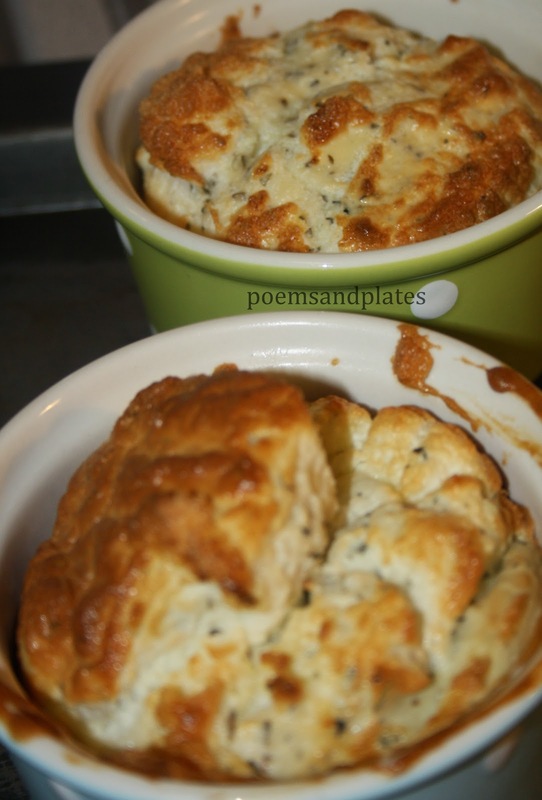 Not only was this my first souffle, it was the first time I had ever even tasted a souffle. I think with souffles and other dishes, it's easy to just not attempt to make them. We hear so much hype about how difficult it is to make a great souffle and the woes associated with it not rising that we, without even attempting, leave it up to the pros. Well, I approached my souffle the same way I approached my first risotto: tentatively and with respect of the process and with small glimmers of doubt, but with gusto and hope. One chilly autumn night, after being aware that I had some leftover cream cheese I needed to use, I remembered a recipe I had seen a few days earlier released in a book promoting National Baking Week in the UK. The recipe was for Rosemary Shrager's Philadelphia Souffle, and I'll admit, it was quite tasty. The recipe calls for 200g of light Philadelphia cream cheese (I had full fat cause I needed it for a cheesecake), 2 separated eggs, 25g of plain flour and a handful of herbs. I used thyme, oregano and basil. You preheat your oven to 180C. Beat the cream cheese and egg yolks together with a hand mixer. Stir in the flour and the herbs. Beat together to combine. Whisk the egg whites in a separate bowl until stiff peaks form (like making a meringue). Gently fold through the cheese mixture. Spoon the mixture into greased ramekins they are 3/4 full. Bake for 20 to 25 minutes until golden. Here's that Lurpak commercial. It's sure to put a smile on your face. G'day! Looks terrific Anyonita! 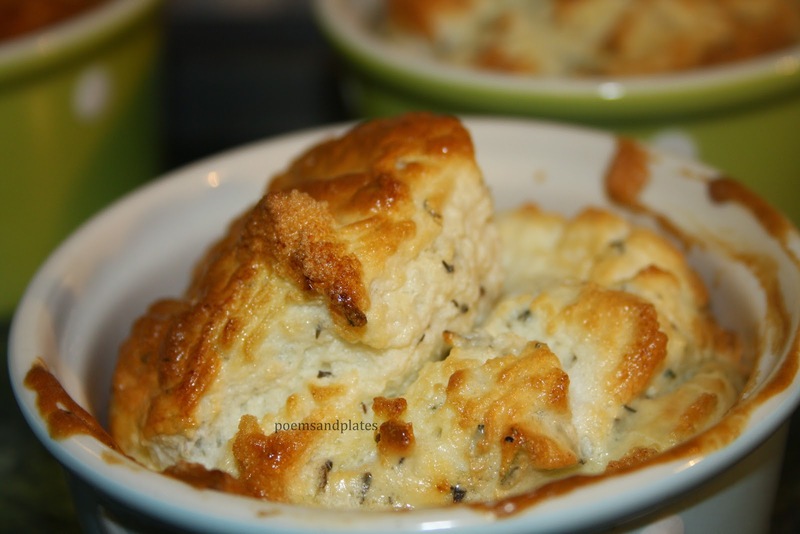 I have never made a cheese souffle, but this is on my list to do!